Join us on the evening of Friday, June 2nd for the second annual American Knife and Tool Institute (AKTI) live auction and fundraiser. AKTI does a lot for our industry and the knife community at large, and their work and advocacy has a huge impact on the way that we make our living, especially when it comes to their role in educating lawmakers and influencing legislation. 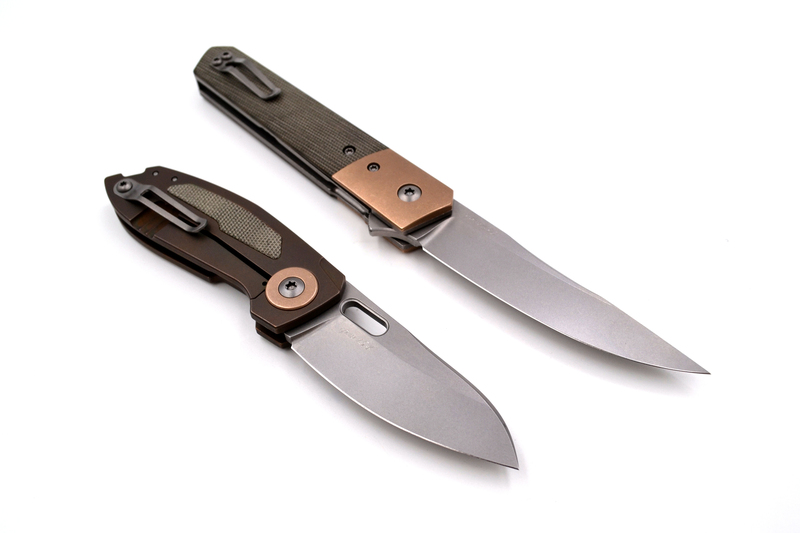 Their mission is to ensure that Americans will always be able to own, carry, and use knives. Obviously, that’s something that near and dear to our hearts (and I’m sure yours as well). Kwaiken Flipper. CPM154 blade. 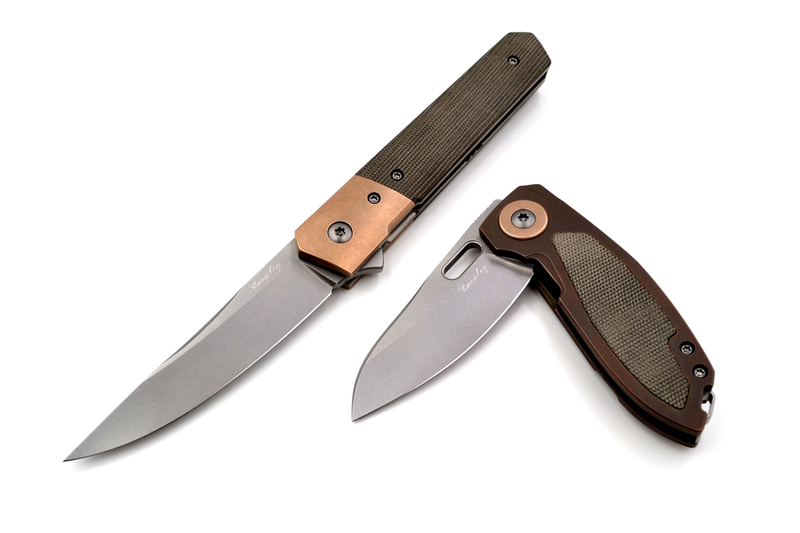 Green canvas micarta scales with bronze bolsters. M69. CPM154 blade. Titanium frame with green canvas micarta inlays and bronze pivot rings. Photo: Burnley Knives. This year, Luc has donated an inlaid M69 and a Liner Lock Kwaiken to the live auction event, and 100% of proceeds will go to AKTI to help fund their legislative and education efforts. If you’re looking to buy a custom piece (and hang out with Luc and other top makers), this is a really great opportunity away from the madness of the show floor! Tickets are on sale now ($50) and your entry to the event includes hor d’oeuvres and a drink ticket. Plus, individuals who purchase a ticket to attend the event will be given an Ambassador individual membership in AKTI.